Investigations into a string of housebreaking and stealing offences which was first reported in September 2014 have led to various charges been laid against five St George residents. Anderson Dino Clement of Petite Martinique currently residing at Green Street was slapped with 6 counts of housebreaking and stealing, 6 counts of stealing, 6 counts of stealing from a dwelling house and one count of stealing. Also charged were Hamilton Joseph, a 27 year old Technician of Tempe who is facing one count of stealing and Enroy Williams, a Trafficker of Mont Toute who has been charged with four counts of housebreaking, 4 counts of stealing from a dwelling house and one count each of stealing, and, housebreaking and stealing. Two charges of receiving stolen goods were laid against Matthew Harris of Belmont, St George who has since been granted bail. A charge of receiving stolen goods was also laid against Oswald Peters of Beausejour, St George. With investigations continuing, more arrests and additional charges are expected. 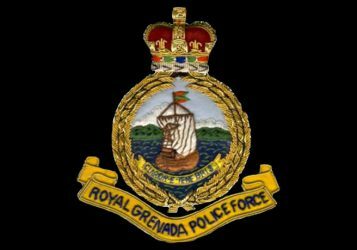 A vehicle that was reported missing on Tuesday 28 October, 2014 was recovered yesterday 30 October in a container in Mt Gay, St George stripped of most of its parts. Some parts were located inside the container and others within a 50 ft radius of the container. Several of the parts are still missing and are yet to be located. Enroy Williams, 28 years old, Trafficker, resident of Mont Toute St George is assisting police with their investigations. Anyone with information is asked to contact CID at 440 3999, police control at 440 3999 or the nearest police station. Source: Office Of Commissioner Of Police, Police Headquarters.